Well, this was a nice surprise. 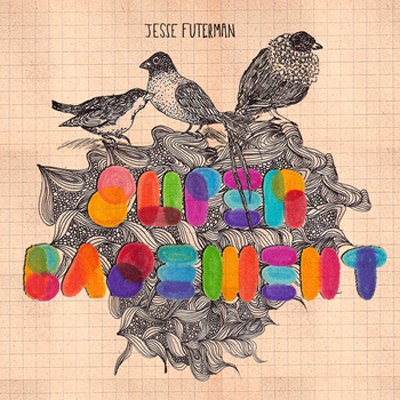 I stumbled upon Jesse Futerman‘s new EP Super Basement while searching through the “Toronto” tag on Bandcamp. I was initially hooked by the beautiful artwork — put together by Alice Dufay — and was happy to hear that the music inside was just as hypnotic. Jesse’s Super Basement EP is a short and simple record, but the simplicity is also why it works so well. This is very organic, sunny electronic music that dabbles in everything from hip-hop to soul and jazz. The drum beats are dusty, as if they have been hanging out in the bottom of a crate somewhere begging to be dug out. Trumpets and other various horns waft through the air, creating a hazy, smoke-filled atmosphere. Finally, keyboards, organs, shakers, and vocal samples fill in the gaps, kicking that soul feeling into gear. Think early to mid-career Bonobo, Skalpal, Blockhead, or any of the more laid-back artists on the Ninja Tune roster. You can stream Super Basement below, but don’t forget that he also has the record available for free on his Bandcamp, so click-through if you’re digging his sounds.